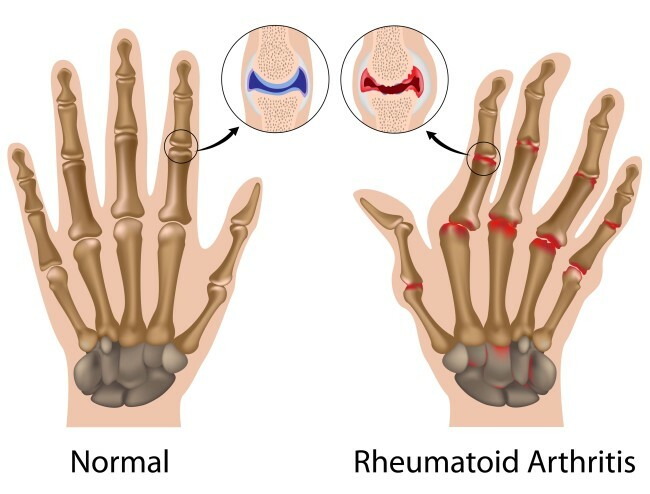 RA, or rheumatoid arthritis ( arthrits rheumatica) , formerly called the chronic evolutive polyarthritis is a rheumatic , diffuse disease of the connective tissue of the autoimmune background . This means that the sick body destroys its own tissues , which manifests itself in the form of deformities of the joints, their pain and stiffness . The etiology of the disease is unknown. It is observed that the factors predisposing to the emergence of rheumatoid arthritis often include a genetic factor and the disorders of the immune system . Smokers and people exposed to chronic stress are also under a greater risk of being affected by this disease and its more severe form . Rheumatoid arthritis affect people of all ages , but most frequently the first symptoms appear in people between 30 and 50 years of age . The disease is more common among women , they become ill about 3-4 times more often than men. In men, the incidence of the disease increases with age. In the developed countries, AR affects about 1 in 100 people. The symptoms of rheumatoid arthritis are both typical and varied. The disease usually develops quite insidiously . The initial symptoms may include the mild fever, weakness, rapid fatigue, loss of appetite, the weight loss and the muscle aches. Afterwards, the morning stiffness occurs. 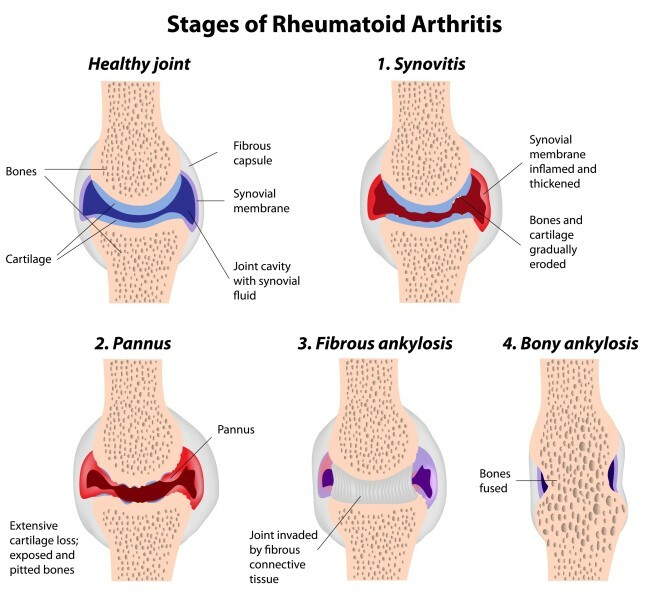 These symptoms belong to the so-called prodromal symptoms, that is, the indicative symptoms which precede the occurrence of the clinical symptoms typical of rheumatoid arthritis. With time, the symptoms within the locomotor apparatus occur, including pain, swelling, limited mobility and arthritis. The articular changes occurring in the course of rheumatoid arthritis most frequently involve metacarpophalangeal joints of the hand, proximal interphalangeal joints and wrists. Also, they often occur in the feet joints. The joints of the knee, elbow, shoulder, and the joints of the cervical spine and temporomandibular joints are rarely affected. The distinctive feature of the disease is that it affects the joints symmetrically on both sides of the body. The ongoing inflammatory process in the joints begins with the destruction of the synovial membrane of the joint, thus reducing the mobility and causing the formation of bone erosions fixing the joints which become unable to move, which leads to the atrophy of muscles. The damage to the intra-articular structures and the ongoing inflammatory process contributes to the formation of secondary degenerative changes. Pain and stiffness symptoms associated with rheumatoid arthritis are the most nagging in the morning , after waking up (so called morning stiffness ), since during the night the accumulation of the inflammatory fluid within the joint as well as swelling of the tissues occurs . In case of rheumatoid arthritis the morning stiffness usually lasts over an hour. The result of the synovial membrane hyperplasia is edema (swelling). It is also caused by the production of an excessive amount of inflammatory synovial fluid . A typical symptom is the pain in response to the pressure , or even the touch. Another characteristic symptom of rheumatoid arthritis is a limitation of movement , which can become irreversible if joint structures become damaged and secondary degenerative changes occur. The consequences of the long- lasting disease are the contractures and subluxation of joints , as well as the joint deformities . In the feet area, the flatfeet , dorsal subluxation of the fingers, hallux valgus , and painful bumps on the sole under the II - V heads of metatarsal bones are frequently observed. Deformation of the lower limbs disturbs the movement. The pain and the limited mobility makes the walk of a person with RA become slower, the steps are shortened, and the foot is set on the medial edge. In turn, in the area of hands the ulnar deviation occurs, which includes the displacement of the fingers toward the ulna and the deformation of the fingers in a form of a 'swan's neck ', manifested as a hypertrophy in the proximal interphalangeal joint, or the boutonniere deformity of the thumb , characterized by the hyperextension in the metacarpophalangeal joint and the distal interphalangeal joint. 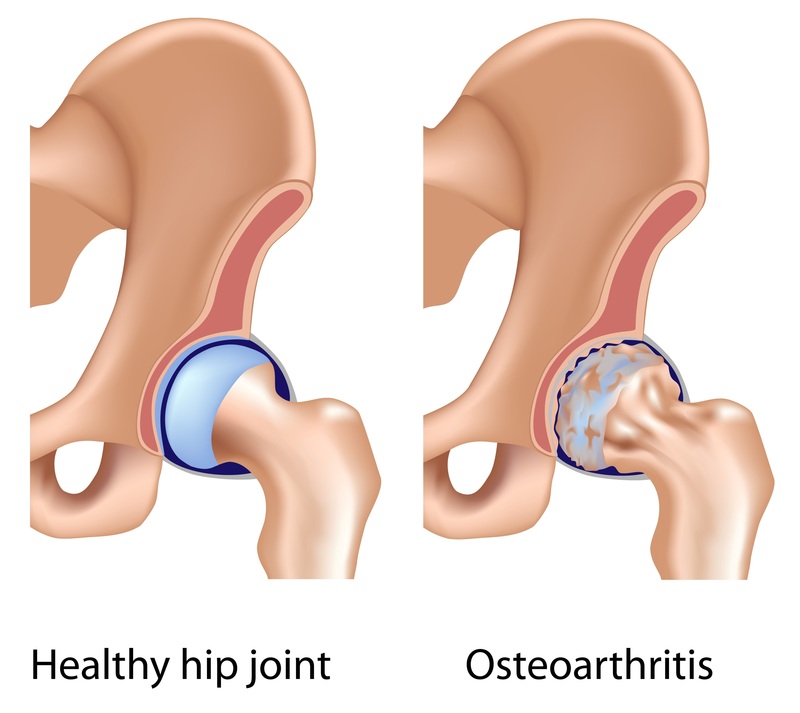 In addition to the above symptoms associated with the inflammatory processes occurring in the joints, the changes in other organs also develop as a result of the long-lasting rheumatoid arthritis . The basic non-articular changes include the rheumatoid nodules located mainly in the area of the elbow joint and the ulna, the hand joints, the Achilles tendon or other internal organs. The ongoing inflammation process can accelerate the development of atherosclerosis and increase the risk of the occurrence of coronary attack heart failure or stroke. RA also contributes to the formation of pericarditis, cardiomyopathy, anemia, damage to heart valves, pleurisy or interstitial pneumonia. One of the common symptoms occurring in rheumatoid arthritis is sicca syndrome (Sjögren's syndrome) , which is caused by the inflammation of the conjunctiva. Also, the depression or personality changes can be observed in many patients. In the radiographic images there is a presence of the metaphyseal osteoporosis, erosions, inflammatory geodes, and inflammatory joint occurring in area surrounding the inflamed joints in the advanced stages of the disease. Rheumatoid arthritis is a progressive disease of a long duration. It usually involves the periods of remission and exacerbation , but neither their length nor the dynamics can be predicted. Sometimes the development of a disease is constant. Then the course of the disease is faster and soon leads to the significant deformations of the joints, impeding or even preventing the independent functioning. the terminal stage - the entire bone stiffness of the joint, resulting in the ceased joint function. In Gofton’s classification of RA , the four stages of the disease , determined according to the different degrees of the functional capacity of the joints, can be distinguished. The first stage indicates the full capacity with the ability to perform daily activities independently; in the second stage some obstacles in everyday functioning appear, the third stage involves a considerable limitatioperforming daily activities and the need of the other person’s assistance, while the fourth stage refers to the immobilization of the patient in a bed or wheelchair. The four-scale classification by Seyfried’s describes the effects of the joint damage on the movement. In the first stage the performance of the active movement with a small load is possible, in the second stage the active free movement can be performed, in the third, the unloaded movement is possible, while in the fourth stage only the partial unloaded movement can be performed. These scales are used to assess the degree of the disease development and to select the appropriate treatment. Due to the absence of known causes of the disease, its prevention is the same as for other joint diseases. An important factor is undoubtedly diet that includes products that minimize the symptoms, and those that are anti-inflammatory. People suffering from rheumatoid arthritis usually have low levels of synovial fluid, and what is worse, this fluid is of very low quality because of the constantly ongoing inflammation in the body. In order to relieve the symptoms of rheumatoid arthritis, it is recommended to naturally replenish synovial fluid. Hyaluronic acid combined with chondroitin will be appropriate. These are the two basic components building the joints. Hyaluronic acid is the main component of synovial fluid, which is why supplementation is so important. 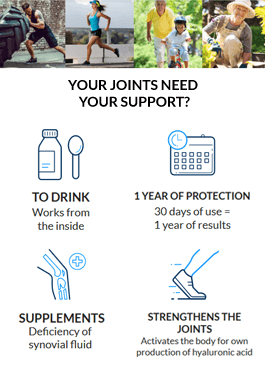 Chondroitin effects the regeneration of articular cartilage. In the case of RA, these components play a key role especially when we want to get rid of annoying and painful symptoms from the joints.